When you are meeting a new potential referral source, how do you show up? Frustrations occur during and after the meeting because we often feel like we are wasting our time. No referrals and no business have come your way since the meeting. Breakfast meetings and lunches can cut at your bottom line, especially if all you are doing is making “friends” instead of creating strategic partners. How do you create a strategic partner? Lawyers With Purpose has a process, the Relationship Management System, that provides a step-by-step guide on how to conduct a meeting, how to get mutual commitments during the meeting and how to follow up after the meeting. But what is also important is what to do before the meeting so you really show up. Even if you just showed up with your list of relationship questions to ask and your own presentation materials, you would be far ahead of the other professionals who just show up with their wallet holding barely enough money to pay for coffee. But what could you do differently to make the experience worthwhile for both you and your new prospective referral source? Before each meeting, I research the person with whom I will be meeting. I go to the person’s website and print a page from the site. Why print a page? During the meeting when I am going through papers, the prospect will see the page and feel good that I did my homework and took an interest before the meeting. I also search Google, Facebook, and Linkedin to see what information they are sharing on social media. Doing this gives me insight into their personality and their technology and marketing acumen. Also, it may yield some insight as to family members and hobbies. Just the other day I was meeting with a magistrate judge who administers a criminal diversion program for veterans. On the biography page of her website, she shared that she had recently run her first marathon. To bring value to her, I brought and gave her the book I co-authored, “Running Through Life’s Lesson.” I was able to tie in an interest held by both of us as well as suggest that the book would be a great resource for people in her diversion program. A few months back, I met with a financial advisor. On his website, I noticed that his primary client base is single women (recently divorced or widowed). Thus, I brought to the meeting information about an upcoming summit that also focuses on women, Live Your Legacy Summit with Emmy Award winner Aurea McGarry, and suggested he sponsor the event. When I have done the research and really show up for the meeting, I am prepared to have a relaxed conversation instead of an inquisition. I can also bring immediate value to the relationship. Taking the extra 15 minutes to research your new referral source will be an extra 15 minutes another person will not spend, which will make you stand out. This should lead to a more enriched relationship that will lead to more clients. If you have an interest in bringing VA or Medicaid and Asset Protection to your estate planning practice, join us September 12-13, in Phoenix, Arizona, for our Asset Protection, Medicaid & VA Summit. If you are thinking about attending this event, you'll want to register today. Tomorrow is the last day to register. Click here and register now. The power of stories allows you to connect with your audience in powerful ways. Your Purpose story will enhance your ability to convert potential clients into paying clients. We'll be quiet now. Click the video and watch Keynote Speaker George Ira Carroll speak for himself... Then register. Why Does Your Law Firm Exist? How do great leaders and organizations - from Martin Luther King, Jr. to Apple Computer - command loyalty? Marketing consultant Simon Sinek introduces his concept of "The Golden Circle," which identifies what makes the most inspiring people and organizations so successful and influential. Putting pen to paper...making the Lawyers With Purpose process your own. Your firms own. Your story. Your why. Your golden circle. These are just some of the takeaways the 2013 Lawyers With Purpose Annual Member Practice Enhancement Retreat will provide. Are you registered yet? If not, you will want to register TODAY. The event hotel is SOLD OUT out but don't worry, we have secured the special room rate at a hotel around the corner. They will honor the special room rate & offer complimentary shuttle service to/from the event hotel and airport. We have it all arranged for you so there is no reason to miss the opportunity to be a the room to focus on your firms purpose, why you get out of bed every day, and what your story is. When else will you honestly "make" time for this to happen to create marketplace loyalty? Did You Send Them To College Without The Essentials? It's that time of year again. The kids are off to college. It's a little different for me this year because I'm sending my second daughter off to school. While I'm very excited for her, as a parent I'm naturally concerned about the "what ifs" of life. You hear so many stories of tragedies on college campuses, from drinking binges to sorority and fraternity hazing, and we're all confident that will never happen to our kids. But, whether it does or doesn't, one of the greatest things that concerns us about our kids is their health. Imagine something happened to your children and when you went to help you didn't have the legal authority to do so. That would take a horrifying incident and make it even worse, but without preparation it can happen. Healthcare proxies and powers of attorney are essential for any child you are sending off to college. The reality is that, when your child turns 18, you no longer have any legal authority or say over them, personally or legally. While they call this "independence" and the kids are excited to get a taste of it, should a need arise, you will be the one they will want there first and foremost. It's absolutely essential that if that ever occurs you are legally authorized to be there to support them. A healthcare proxy is a simple document that authorizes another individual to make any healthcare-related decisions for you. It is crucial that your children execute a healthcare proxy prior to going to college so you understand their wishes. More importantly, you would have the authority to act if something should happen to them and would avoid the legal complications involved without the proxy. Similarly, a power of attorney is another important document that grants you the legal authority to handle legal or financial issues for your child while at school. So many times in the past I have contacted my older daughter's college and they were unwilling to talk to me about anything related to her needs. Having a power of attorney for my daughter, I was quickly able to forward that to them and get access to all the information I needed. In many cases they even sent me whatever additional paperwork they required, which I then had my daughter complete. Don't send your kids off to college without being prepared. You got them their refrigerator, their microwave, and most importantly their TV and computer. Make sure they also have their healthcare proxy and power of attorney, the things that are really the most important. Day One: Get More Leads - Show your value and build your brand though storytelling. Keynote Speaker George Ira Carroll will talk about the power of storytelling and how using stories in every element of your practice will impact your market. Plus a live presentation of Dave presenting the brand new 7 Threats Workshop. Day Two: Attorney Track - Get to Conscious Competence - Know what trust to use and the CCS options to choose to get the results you need for each plan. Review the features in all the five trusts and know when to use each one. Day Two: Team Track - Performance Driven Solutions - How to Have Control in Your Role, Versus Letting it Control You. Redefine practice management and increase the entire team’s productivity using workflow to manage your process. Day Three: Get More Money - Create your Double Your Practice Team Strategy with a realistic timeline to achieve it. Taking a look at what you've been doing in the past, look at where you are now and identify the key areas of your infrastructure for growth. Ask a panel of Lawyers With Purpose members who have doubled their revenue what they did to reach and exceed their goals. Work with your team to build your action plan for 2014. We are working hard to make a difference at this years retreat. Make an investment in your personal and professional growth and register today. Will 2014 be your year? You decide! Do you find your role as a leader sometimes exhausting? It may be because you are managing, not leading, which is a huge distinction. It’s a slippery slope to be an individual whom provides leadership and direction and one who takes on motivating other people and enrolling them into a greater life - day in and day out. It’s the key difference between managing versus leading. You might be in a management role, which means you have specific job duties and results to achieve. However, you don’t ever want to find yourself “managing” employees if you are working for an entrepreneur. Entrepreneurs are in the business of change that is an absolute. Until you can truly understand and embrace that, you will find yourself feeling like you are “on the hamster wheel” every day trying to manage people and goals that are ever-changing. People need to manage themselves. You can hold them accountable to the results they are supposed to achieve, but the team needs to come with “batteries included.” It is one thing to train a team member, help them solve a problem, or give them advice. It’s totally separate and not advisable to convince them they want to be on your team. Trying to motivate, encourage learning and find ways to grow while trying to make a moody or negative team member happy and see the positive will simply waste your time and emotional energy. Running around managing and motivating your team allows you to become their emotional crutch. They will lean on you for inspiration, and when you can’t provide it, they will quit and leave. And when they leave, they leave you with a team of others who you may have neglected and who now see they get more attention and allowance with negative and non-productive energy. It’s your job to provide leadership (what direction should they be working towards, a common goal and a vision they can buy into) but the team needs to bring their “batteries” to the table. This means coming with solutions to problems, not just complaints, and taking a stand for what the company is about and trying to achieve – for themselves, for their team and for your clients. If you are ready to stop giving pep talks and start creating an empowered team who comes to work every day ready to solve problems and achieve goals, join us for the LWP Practice Enhancement Retreat. Day 2 has a full team track training day on Performance Driven Solutions - How to Have Control in Your Role, Versus Letting it Control You. Register Today! During Day 2 of the LWP Retreat Attorneys Track – members will be learning fact patterns, designing plans for results and the CCS features & functions in a way that they can understand the science, the art and the legal technical. Dave Zumpano, Victoria Collier and resident SNT expert Kristen Lewis will lead you through an extensive legal technical day. Our goal during this time together is for you to know with certainty the LWP-CCS software confidently, competency and consciously to get the results for meeting your clients’ wants and needs. You'll gain knowledge of all the trusts available in the CCS as an LWP Member. RLT, MIT, FIT, KIT, CGT, TAB, ENT & SNT trusts will be covered so you'll walk away knowing what they are - and how to charge clients, ultimately increasing your revenue. Day 2 will methodically teach you all this and how to compensate yourself for the value you bring to your clients and referral sources. Register today, the hotel is almost SOLD OUT and sells out every year. Invest in your future today and secure your spot. The price will increase tomorrow click here to register now. We can't wait to be in the room with you! Next up…..what’s our team doing all of Day 2? Storytelling is an art that can be learned, and if you’re a person of influence, storytelling is a way to instantly connect with your audience. There are 2 key components that create influence: credibility and vulnerability. Creating your personal story is an integral part, but knowing how to incorporate your purpose story into your practice will make a difference in your conversions. National Marketing Expert, George Ira Carroll, will be leading Day 1 of The LWP Practice Enhancement Retreat and will ensure you walk away with your purpose incorporated into every conversation you have. Whether you're teaching clients, referral sources or walking into brand new facilities in your region. Learn how your personal story is ultimately your brand in the marketplace and that which people in your community seek you out. On Day 1 we guarantee you'll end the day knowing exactly how to take the LWP stories to a whole new level... giving you an arsenal of workshops for presentations anywhere from 15 minutes to 2 hours ... all while maintaining the purpose of the stories and having the ability to give them your content with ease. “Your purpose story is your unique story of why you decided to go into your profession. It's the catalyst that inspires people to work with you.” George Ira Carroll. Click here to see just one piece of what you will take away from Day 1. Register today for $2,747 and save on tuition. Plus, back by popular request is the option for payment installments! Pricing will increase to $2,997 after tomorrow! In the context of a team, commitment is a function of two things: clarity and buy-in. By avoiding conflict, we allow people to be passive. The result is that they can’t commit if they don’t CARE and they can’t CARE if they are passive. Sometimes in the pursuit of unanimity we seek artificial harmony, and that leads to low levels of commitment. Patrick Lencioni offers these suggestions for overcoming the lack of commitment: “Productive teams make clear decisions and are confident that they have the support of every team member. A lack of commitment usually arises from not hearing all of the team’s concerns before making a decision. There can be no commitment without debate. People will not buy into something when their opinions and thoughts on the matter were not included and discussed. If they don’t weigh in, then they won’t buy in.” This is not as much about seeking consensus as it is about making sure that everyone is heard. At the end of the day everyone needs to get to the point where they can say, “I may not agree with your ideas but I understand them and can support them.” We call these “honest-while-respectful conversations." Some of the easiest ways to break through lack of commitment is to create a safe environment with constant communication using your clarify and verify skills (weekly team meetings), deadlines with weekly accountability (weekly reporting), and quarterly firm retreats that result in specific measurable results. At the end of the day lack of commitment is often a by-product of lack of intentional leadership. Lawyers With Purpose is offering a two day Asset Protection, Medicaid & VA Summit in Phoenix, AZ, September 12th - 13th. If your interested in joining your colleagues, click here to see what we'll cover. If you practice in today's estate planning environment you won't want to miss this! Congratulations to Victoria on an excellent profile article that appeared in University of Nebraska Transcript magazine published by the University of Nebraska College of Law. 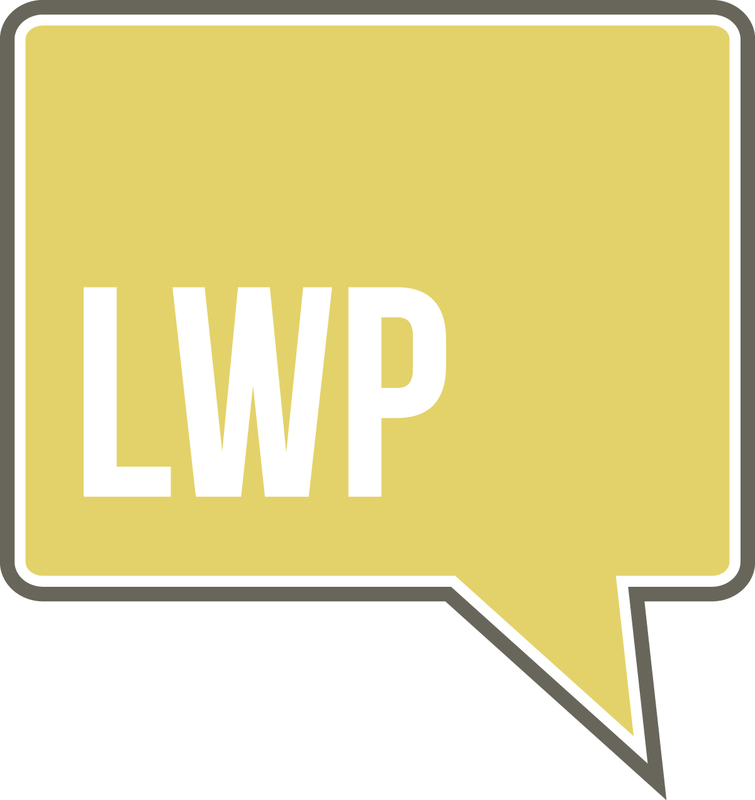 We are extremely fortunate have such an accomplished attorney as a part of LWP and a resource for our members. Click here to read the article. Thank you John Feller of Feller Law Office, P.C., L.L.O, for sharing.